We love the sky blue stone of the Southwest. And where else but Santa Fe, New Mexico, can you find such a stunning silver-and-turquoise shot glass set? Designed and handmade in his City Different studio, artist Doug Magnus uses rare turquoise from his Cerrillos mine, located just south of the state’s capital. In the early 1900s, the mine was quarried by Tiffany & Company and a thousand years before that, by Native Americans. Today, Magnus is renowned for the pieces he creates, such as this set inspired by Chaco Canyon architecture — an homage to the Anasazi. For the one who values the ultimate in barware, this is the perfect choice. By special order only. You'd probably never guess that such a handsome coffee table was built from the hood of a 1955 Chevy. But furniture made from automobile hoods and trunks is a specialty of Weld House in Cottonwood, Arizona. Whether you prefer a minimalist style or an industrial look, Joel Hester’s welding skills allow him to customize special pieces for the individual room. Using both new and recycled parts, each piece of furniture is meticulously fabricated on calibrated machinery. You might choose one of Hester’s designs or collaborate with him on a piece you envision.Either way, the final product will be rich with character and history. 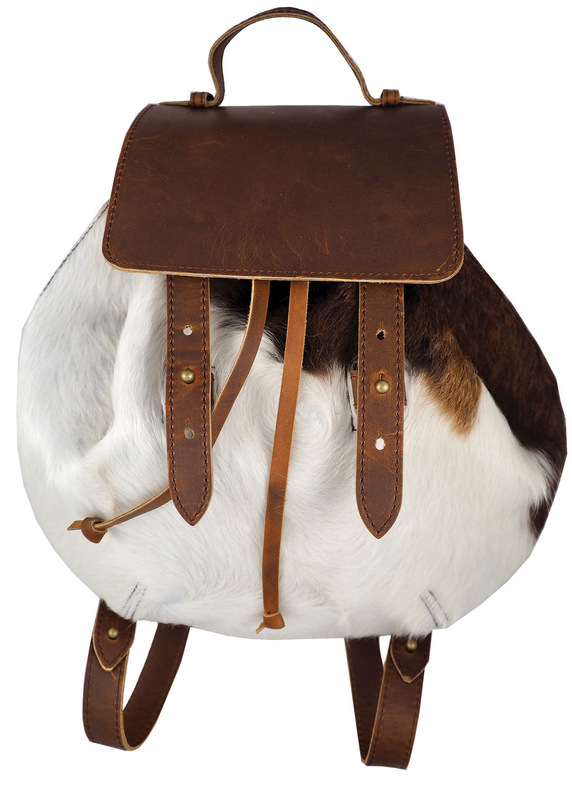 Cowhide Backpack by Gilkey Co.
As the daughter of a fourth-generation cotton farmer from California’s Central Valley, Taylor Gilkey wasn’t certain her father would agree with her decision to go to fashion school. But with support from him and her “creative, quick-witted mother,” Gilkey graduated from the Fashion Institute of Design and Merchandising in Los Angeles and now runs her own handbag and backpack company. Her bags sell themselves, she says, and it’s easy to see why. Trendy but also practical, we love this backpack, which makes a statement whether it is carried to a barn dance or a stroll down New York’s 5th Avenue. 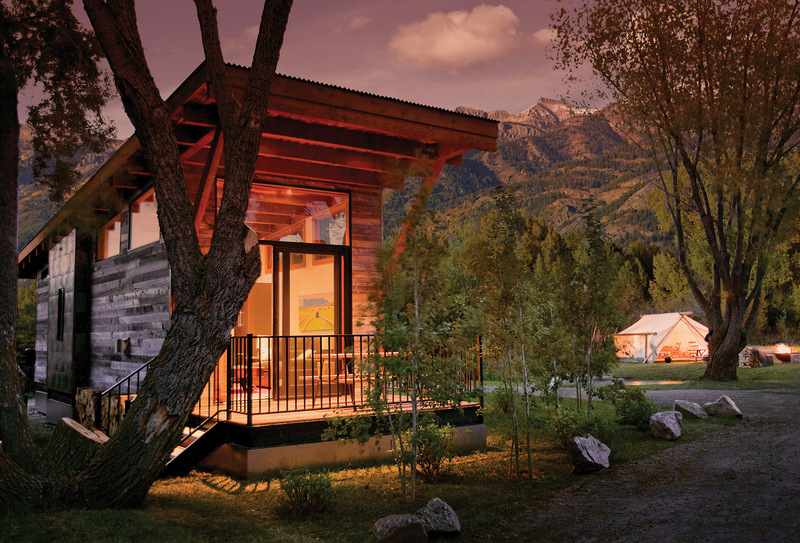 Jamie Mackay grew up watching his dad build log cabins in Jackson Hole, Wyoming, and he always admired their durability. Today, he uses time-proven techniques to build tiny homes that can be used as a guesthouse in your backyard or, perhaps, as a cabin in the mountains. We particularly love the Lookout model with its smart interior that appears spacious despite its modest size. “We exceed the requirements for the Gold Standard with the U.S. Green Building Council,” Mackay says. “Our focus on energy efficiency, innovative design, progressive space management and top-of-the-line materials allowed for that.” What more could you ask for? We love art in unexpected places, and handmade wedding invitations, especially those that are hand-stitched, are exactly that. 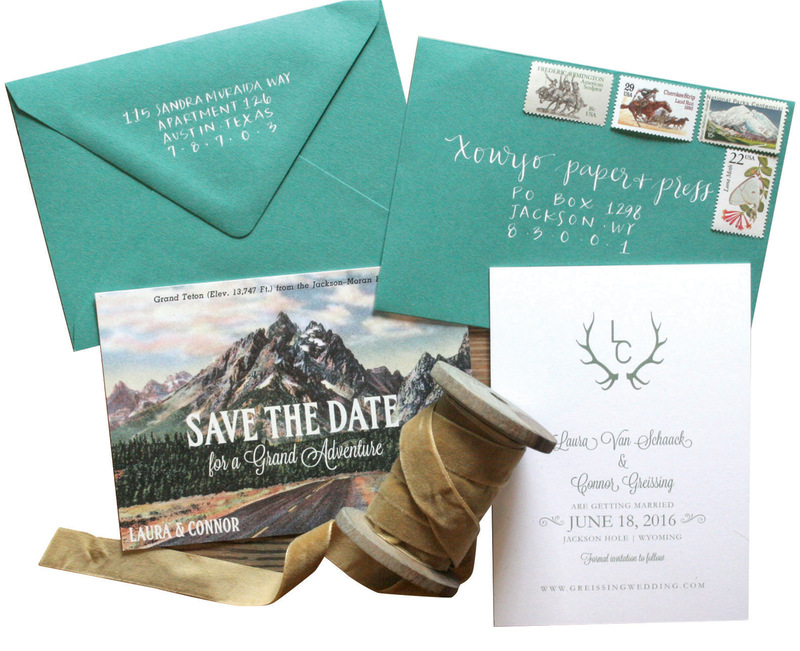 Cara Rank and her team in Jackson Hole, Wyoming, created these save-the-date notices for an outdoor wedding. Rank and her team create entire packages that can include address labels, maps, programs, menus, cocktail stirrers and more. They created a large menu printed on muslin for one bride and groom, and the menu now hangs in their home. At times they have used herb-seed paper for printing, which can later be planted. 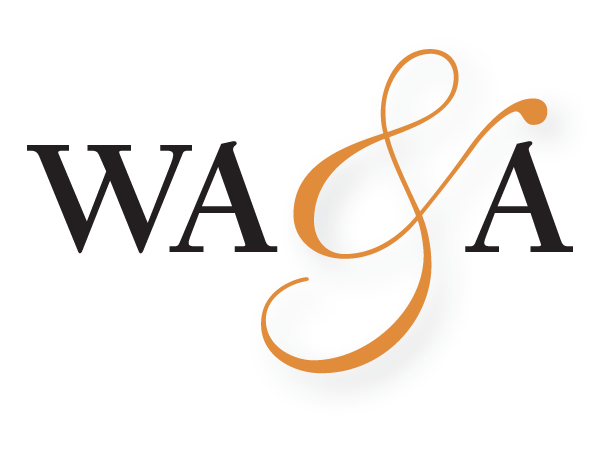 If you are searching for something artistic for a special event, XOWYO has you covered. We think you will love these unique neckpieces made by Theresa Wangia of Beltshazzar Jewels. World travel influences her designs, which are undoubtedly bold statements. Using bone, metal, leather, horn, stones, gemstones and other objects that catch her attention, Wangia believes her accessories “cross borders of style, where culture meets fashion and beyond.” Her clients agree, and her distinctive pieces are sold in boutiques from Los Angeles to London. 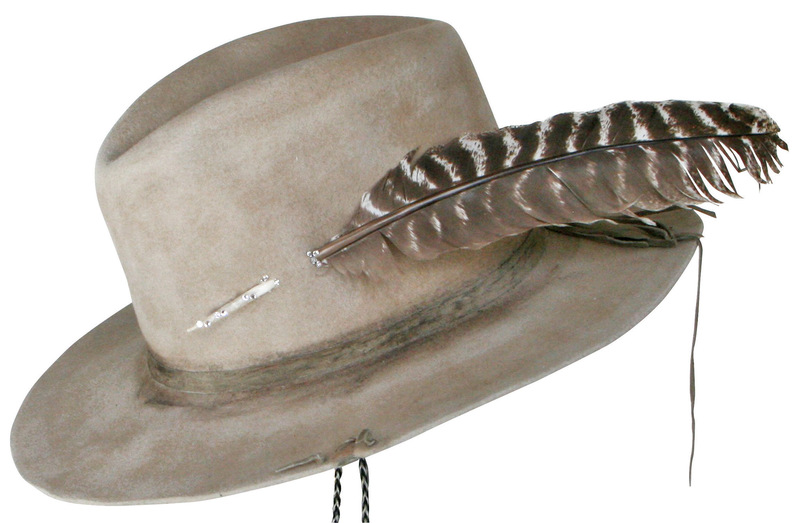 The cowboy hat is symbolic of the American West, but in this case it was designed with a bard in mind. Taking heed from the cowboy who explores the serene landscape, the poet is equally an explorer in quest of the right phrase to describe the beauty before him, whether it’s a mountain top or a brunette singing a lullaby. Created from coveted 100 X beaver-fur felt and lined with an elegant brocade to nestle the well-loved mind, Celeste Sotola of Montana Dreamwear says her creations are for those who believe the pen is mightier than the sword. 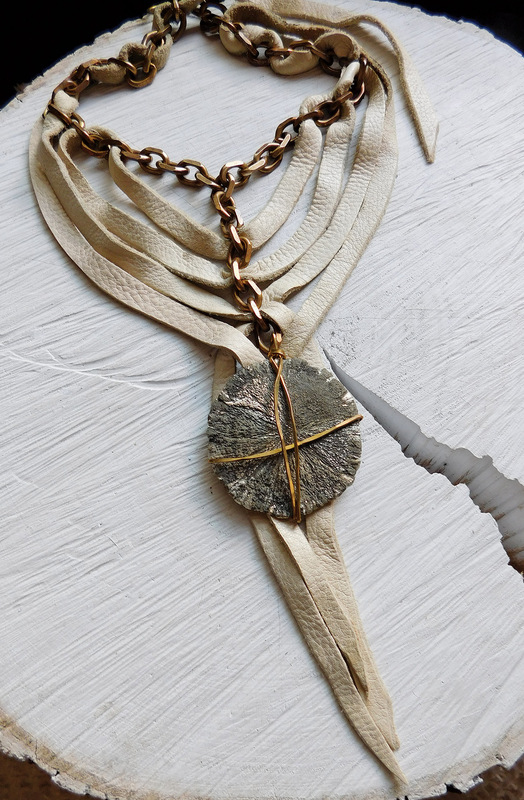 We love the “worn forever” patina, which she has accented with a wild turkey feather dipped in Swarovski crystals. Doesn’t food taste better when it’s cooked over an open fire? 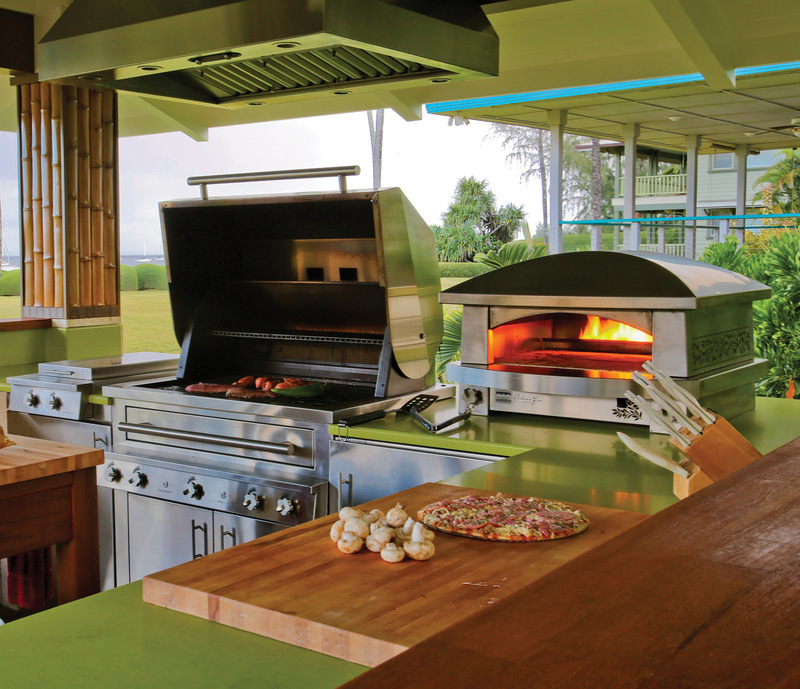 Whether barbecuing or baking a wood-fired pizza, Kalamazoo Gourmet’s grills and ovens make the effort easy. Custom made in the USA, these grills are versatile. Cook your steak or veggies with traditional charcoal, gas or wood, and changing fuels is as easy as opening a drawer. From the perfect margherita pizza to double-oaked cowboy steaks, every taste and outdoor cooking style can be experienced. 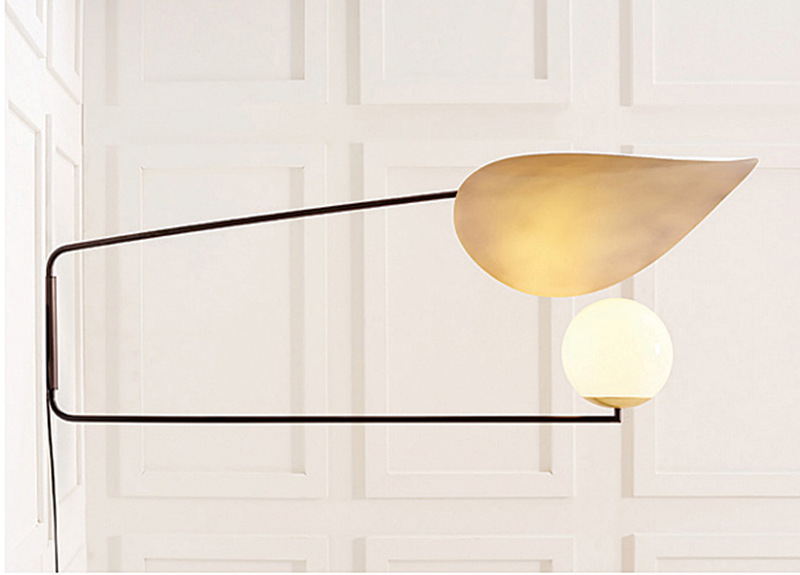 Functionality in design is our favorite, and for that reason we are particularly fond of this light fixture designed by Anna Karlin. Based on the idea of a swivel arm, the Sun Shade has a rotating reflector that allows you to cast light in different directions. Karlin, a multi-talented artist and designer, came to the U.S. from Britain in 2010 after creating graphic design elements and installations for companies such as Swarovski Crystal and U2. She’s now developed a line of elegant furniture and fixtures in her New York studio. 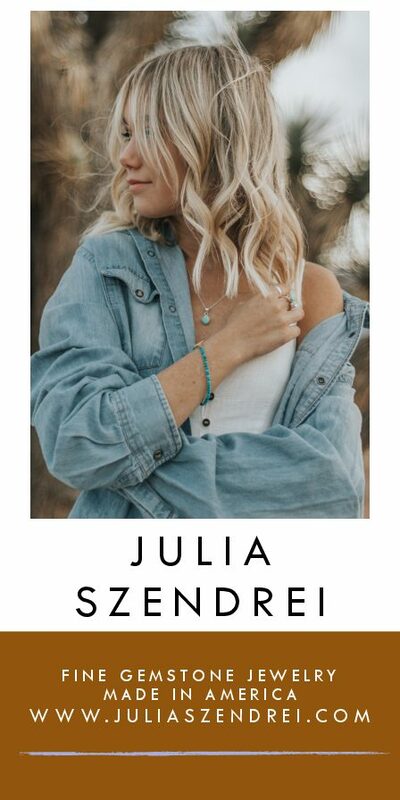 Her talents range from textile design to fine jewelry and hand-blown glass objects, a respectable œuvre. She says that her “natural tendencies are quite eclectic,” as evidenced by the Sun Shade, which brings an artful angle to your favorite hallway or reading nook. 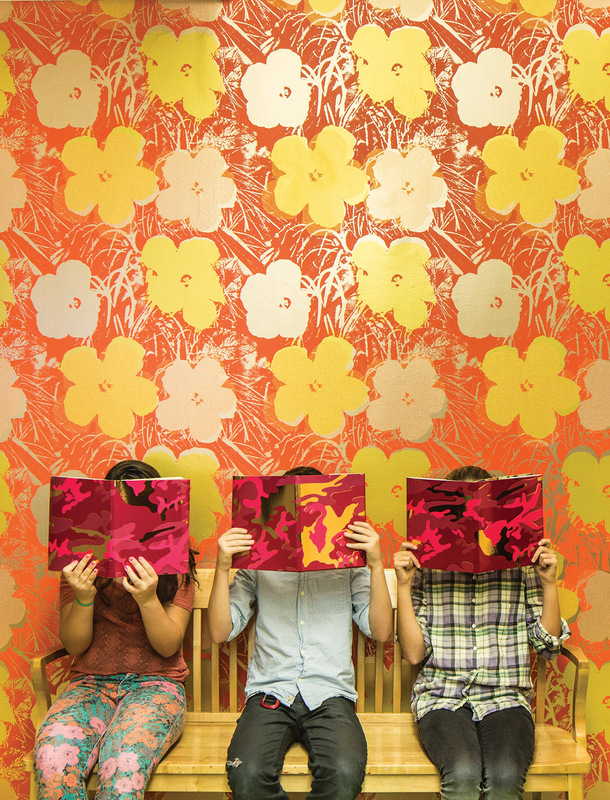 “It’s not your grandmother’s wallpaper,” Variety magazine says of Flavor Paper’s Andy Warhol wallpaper, created in collaboration with The Andy Warhol Foundation for the Visual Arts. The good news for everyone is that Flavor Paper is made to order so you can customize the colors to match your décor. Owner and creative genius Jon Sherman started his business in 2003 when he purchased an 8,000-pound table and 300 silkscreen machines and moved them from the Pacific Northwest to New Orleans, Louisiana. 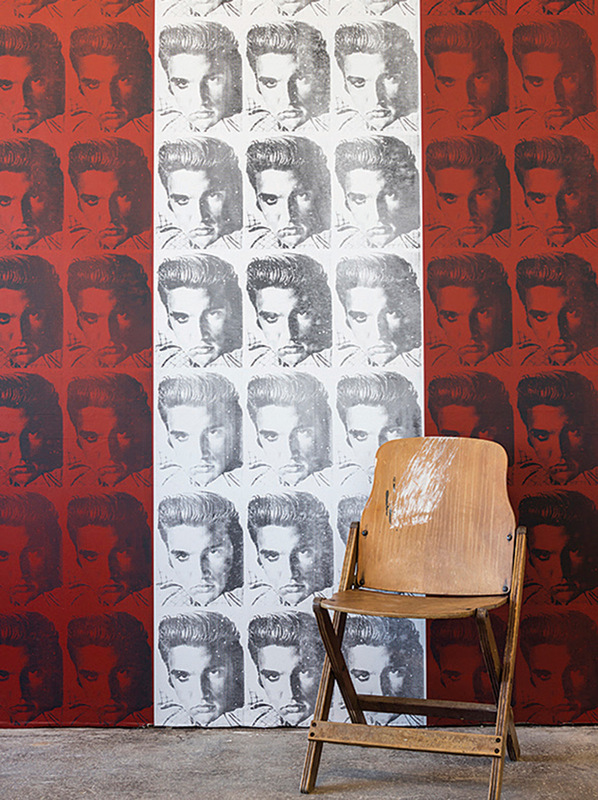 He only knew about wallpaper from seeing it in his grandmother’s home, and he set about creating a product with broad appeal. Sherman says he’s honored to have access to many of Warhol’s images, from flower prints to Marilyn Monroe, and to work with the foundation. 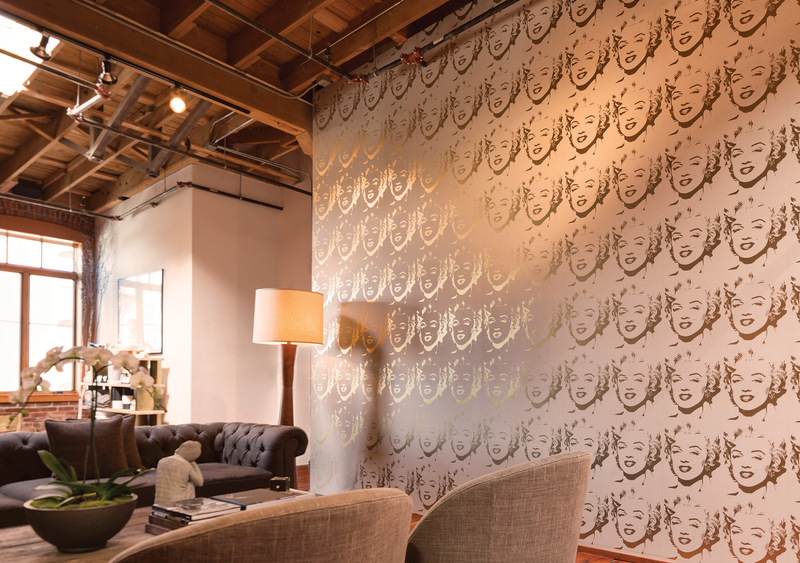 We’d love to see a feminine powder room with Marilyn all over the walls, wouldn’t you?